The 2018 Golf Marathon was a huge success as Major League Baseball (MLB) Umpires and Minor League Baseball (MiLB) Umpires traded in their baseballs and bats for a set of irons and putters to raise more than $77,000 to support the programs of UMPS CARE Charities! 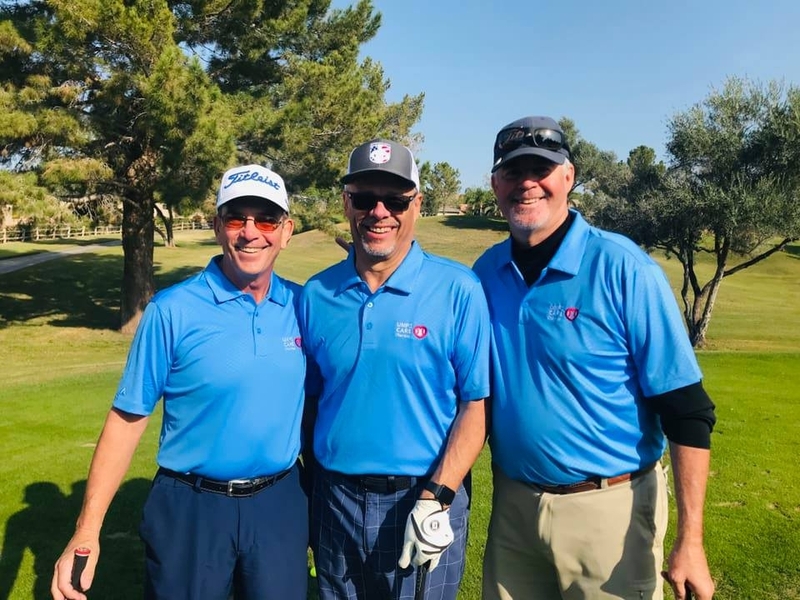 These dedicated fundraisers committed to the challenge of playing a 100-hole golf marathon at the Augusta Ranch Golf Club in Mesa, Arizona. The day got off to an incredible start as longtime board member Dan McGinnis sank a hole in one right off the bat! Thank you to all of the golfers and all of the generous donations - this event would not have been possible without their support! Read more and check out other pics from this event on Facebook!